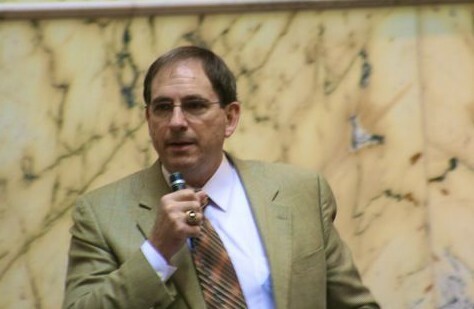 The Maryland Senate is debating budget priorities as it considers a program to help Maryland’s rural counties with an Open Space Incentive Program that could cost between $3.5 million and $15 million. The debate over Program Open Space on the Senate floor Tuesday morning most likely stemmed from its potential high cost, which was dramatically reduced with the addition of four new amendments that morning. The program is intended to compensate counties for lost tax revenue when the state owns land, thereby taking it off the tax rolls. SB 134 originally would have cost Maryland $15 million beginning in fiscal year 2017, with a proposed $2.5 million being paid for by the Forest and Park Reserve Fund. But with amendments that limit the scope of the program so only two counties currently qualify, it would cost only $3.5 million, according to Budget and Taxation Committee Chairman Edward Kasemeyer, D-Baltimore and Howard. “We think Allegany and Garrett have some significant issues and need our help,” Kasemeyer said. The Senate will have a final vote on the bill this week. The incentive program originally proposed making payments of $250,000 to a county per every 10,000 acres of state land located in that county. Currently, if the state government owns 10% of forest land in a county, the county receives 25% of the revenues generated on that land, including tourism, concession stands, campsites and even timber harvesting. “I see this as a fairness issue, one that really helps everyone out…One that really helps out some of these rural areas in the state,” said Bill Sponsor Sen. George Edwards, R-Allegany and Garrett. According to Edwards, over the last four years, counties have not been receiving payments from revenue generated by concessions. Now as amended, the bill allows counties to choose to receive 25% of park revenues, or apply to receive $250,000 for 10,000 acres of state land. This is a “phase-in” incentive and will only apply to counties with a minimum of 60,000 acres. Only Allegany and Garrett counties currently qualify. Sen. Paul Pinsky, D-Prince George’s, questioned whether the state should be pouring money into helping the counties with open space when educational initiatives are falling by the wayside. Pinsky was admittedly making his argument “personal,” since one of the bills his committee pushed through last year did not receive funding in the state budget. “If there are other initiatives that pass as legislation…How do we balance funding those programs verses these new initiatives…I guess it’s about setting priorities as a legislator,” said Pinsky. Edwards said counties are already receiving payments from the Forest and Park Reserve Fund. Pinsky asked whether more counties will want in on the new deal. Kasemeyer replied he “cannot predict the future,” but if more want to qualify, the acreage minimum will need to be lowered. Edwards believes that it will be an incentive to increase state land in order to meet the minimum requirement. “This is a balancing bill and this helps…this is an area of the state that is in need and I think the General Assembly needs to respect that,” said Sen. Nathaniel McFadden, D-Baltimore City.